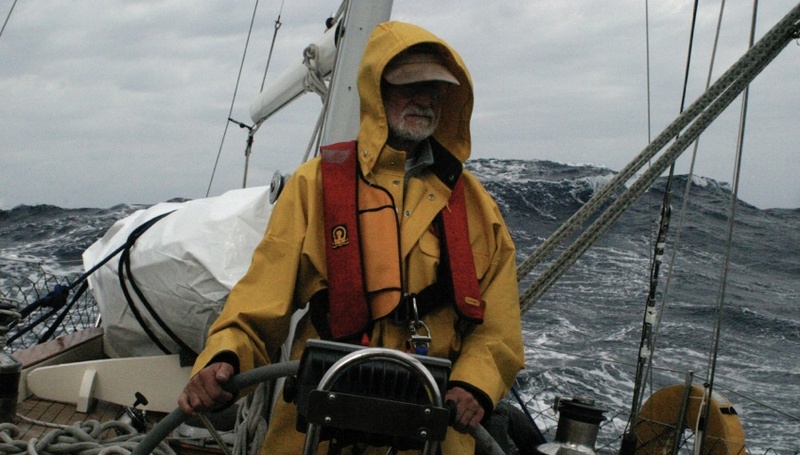 David Lyman (2009 - 2010) at the helm of Searcher, the family’s 57-foot Bowman Ketch—100 miles north of Bermuda, winds 35 knots gusting to 40, seas 15 to 20-feet. Custom navigation table height to accommodate chair. David Lyman was the original and only owner of Afaran. 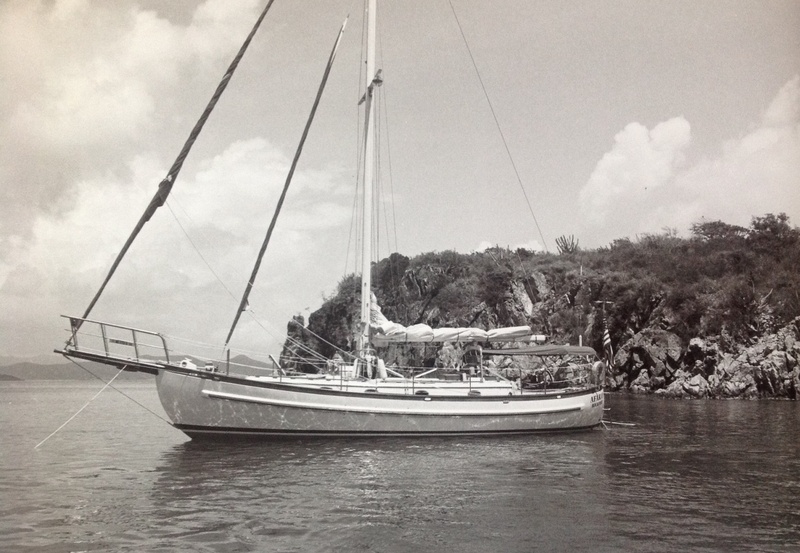 He bought the boat in 1985 and sailed her between Maine and the Virgins several times. She was lost in Hurricane Marilyn which hit St. John in 1995. There was nothing left of Afaran but some floatsam. 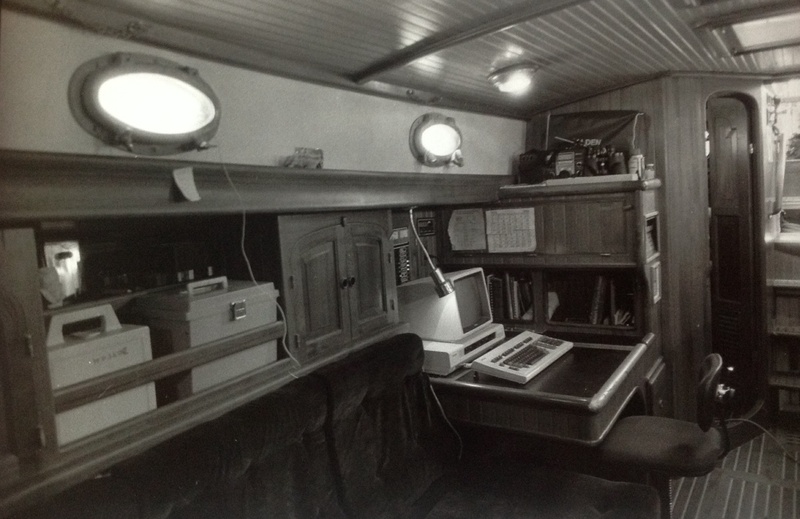 The mast and engine were subsequently found underwater.